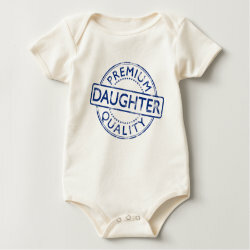 This original design is made to look like an old-fashioned official ink stamp. 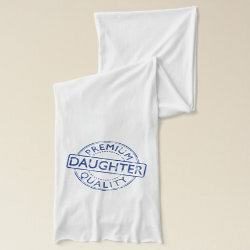 Instead of legitimizing a document, the design here shows the recipient to be a premium quality daughter! 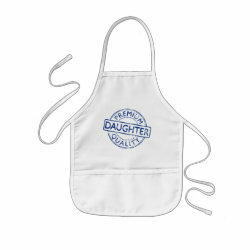 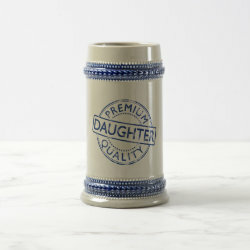 The weathered blue-ink style text reads PREMIUM QUALITY DAUGHTER for all the world to see!